01 All-New Nissan Leaf Simply Amazing. The new Nissan LEAF is here to break boundaries and build on a reputation that is yet unmatched. Filled to the brim with innovative technology, the new LEAF knows no compromise. Choose from four available trims: Visia, Acenta, N-Connecta and Tekna. 02 Exterior The new LEAF breaks away from its old image with a complete visual overhaul that speaks volumes about its attitude and personality. Aerodynamic and confident, the new makeover is instantly noticeable - from the signature V-motion front bumper and the boomerang-shaped headlights to the sporty diffuser and rear spoiler, the new LEAF redefines what an electric vehicle is supposed to look like. 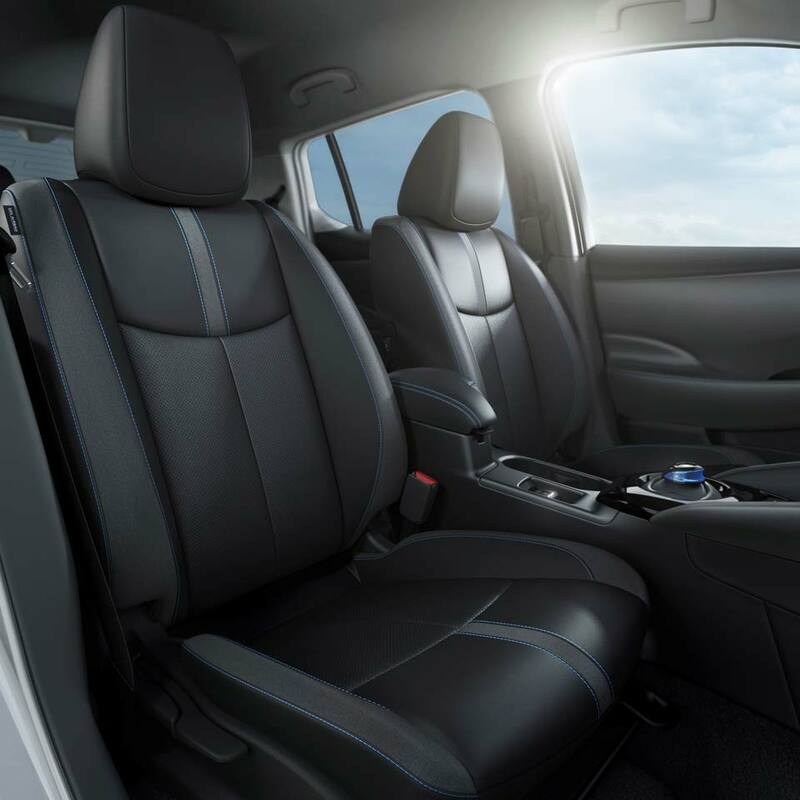 03 Interior Step inside the new Nissan LEAF and you will instantly notice the premium atmosphere and unparalleled comfort. Sleek accents adorn each detail, while premium materials will leave you relaxed and contented. 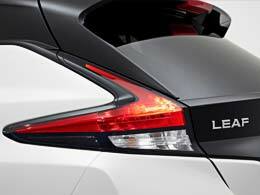 04 Performance Innovative technology is at the heart of the new LEAF’s exceptional performance. Now quieter than it has ever been, the new LEAF also benefits from an aerodynamic exterior and revamped weight distribution that go hand-in-hand with the extremely capable electric motor, delivering the acceleration you need. 05 Safety & technology The new LEAF is a perfect example of Nissan’s innovation-focused Intelligent Mobility approach. 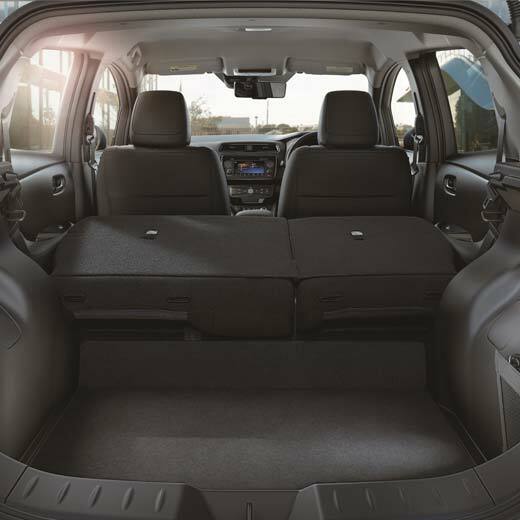 Advanced features such as Intelligent Around-View Monitor, Intelligent Emergency Braking and Intelligent Driver Alertness are with you every step of the way and make driving a breeze. A floating 7-inch infotainment system is compatible with Apple Carplay and Android Auto and can be controlled by you or your phone’s Personal Assistant. In addition to this, integrated Satnav will guide you through each street towards your destination. 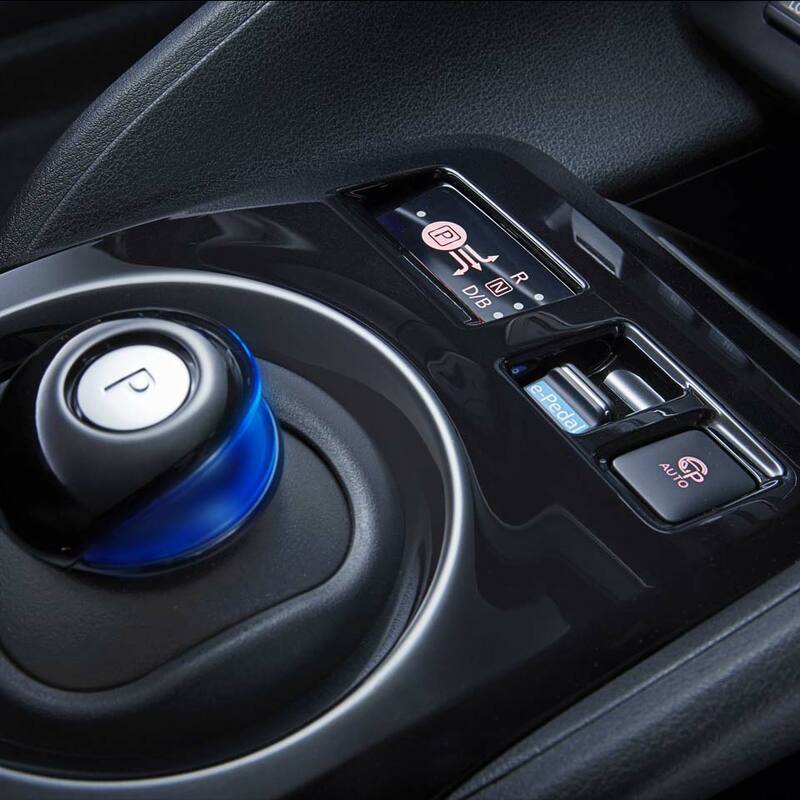 The technology inside the LEAF will keep you safe at all times – features such as Intelligent Auto Headlights, Intelligent Emergency Braking and Intelligent Blind-Spot Intervention constantly keep an eye on vehicle performance and road condition to help prevent accidents. 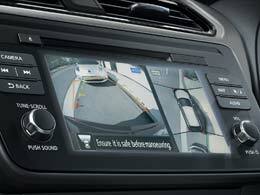 An Around-View Monitor is also available and provides a 360-degree image of the car to help with parking and challenging traffic.